ABUJA – THE Christian Association of Nigeria, CAN, Saturday said the leaders of the Jama’atu Nasril Islam, JNI, were attempting to justify the ungodly killings by herdsmen across the country because they were allegedly complicit in the crime. CAN also rejected the statement credited to the Special Assistant to the President on Media and Publicity, Garba Shehu, in which he asked the its Secretary-General, Rev. Musa Asake, to mind the pulpit and stay out of political matters. In a statement signed by Rev Asake in Abuja, the Christian body maintained that the statements and actions of the leaders of JNI and Mr. Shehu had been geared towards protecting the killer herdsmen and attempting to defend the indefensible. He said: “Frankly speaking, Garba Shehu should be pitied with his current position because he is trying to sell a bad product and as a result he cannot do without being sycophantic. Unfortunately for him, in his bid to defend President Muhammadu Buhari, whose government’s record for nepotism, favoritism and discrimination is second to none, Shehu goofed. But Asake noted that “Instead of facing the reality and admit its ungodly complicity with the Fulani terrorists, the JNI leadership at its press conference held in Kaduna on Sunday January 21, 2018, embarked upon character assassination, acrimony, vulgar abuse in their futile attempt to justify their ungodly, unpatriotic and wicked support for the murderous Fulani herdsmen who are also enjoying the complicity of the security agencies whose headships are occupied by the JNI’s cronies at the expense of the unity and progress of our dear country Nigeria. “It is an open secret that the criminal activities of their boys have gone to the extreme because of the tacit encouragement they are getting from the leadership of the JNI, the way and manner they did for the Boko Haram terrorists when they began thinking they were spreading Islam in the country. There was never a time the JNI has come out publicly to condemn the criminal activities of the Fulani herdsmen since they have begun killing and maiming the innocent all because most of their activities were targeted at Christians in the Northcentral, Enugu, Ondo, Ekiti and a host of others. “If otherwise, how come that it was the Press Conference addressed by CAN that forced the JNI to break its ungodly silence over the evil in the land, that is being perpetrated by the people they not only know too well but they have been protecting, for religious and tribal sentiments, which literally tied the hands of the security chiefs who also share same sentiments. “May we suggest to his Eminence, the President of Supreme Council of Islamic Affairs, to reach into the community of educated Muslims and find serious minded individuals that could engage in serious national issues to speak for JNI. The Fulani herdsmen are Muslims. For the herdsmen, it would be considered demeaning if anyone should ascribe any other religion apart from Islam to them. Therefore, for anyone to suggest that the Fulani herdsmen are “franchise” of CAN is the most unimaginative and ridiculous statement of the century. “We noted the poor attempt of JNI to distract people’s attention, without addressing the issues, in the waves of Islamist religious insurgency in Nigeria. The murderous attacks of the Fulani herdsmen are insufferable and we must speak out in condemnation of both the Fulani herdsmen and their murderous activities. Not only will the Christian Association of Nigeria speak out, CAN shall also encourage other Christian and humanitarian bodies to speak out. Speaking in condemnation of cold-blooded murder cannot be termed “hate speech”. “The truth can neither be referred to as hate speech, nor can it be overshadowed by sentiment. The attacks of Fulani herdsmen have to be highlighted particularly after the attacks of genocidal proportions in Benue State. Christians were the victims of the unprovoked criminal attacks on their homestead. In the circumstance, no one can accuse CAN of overheating the polity. Those who are overheating the polity are the sponsors and protectors of the Fulani herdsmen. And in due course, justice and judgment shall catch up with them. “It is rather unfortunate that the State structure set up to protect all citizens has become discriminatory in the discharge of its functions. While some citizens are protected, some are exposed to danger while the instrument of the state is being used to protect the assailant criminals. Christians in Nigeria realize that even the existing political parties no longer protect Christians. As nature abhors vacuum, CAN is compelled by the circumstances to speak for Christians in Nigeria. 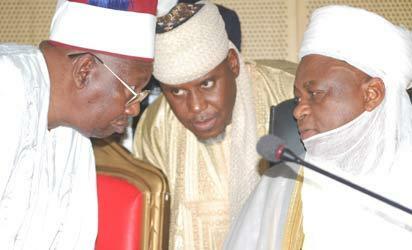 Boko Haram and Fulani herdsmen are Moslem organizations and both have confirmed that they are waging jihad in Nigeria. Christians do not have similar organizations anywhere in the world that goes about killing innocent people to enlarge Christianity. “Bishop Oyedepo, Bishop Kukah, Apostle Suleiman, Prophet El Buba, and many other Christian leaders in the vanguard of defending Christians and Christian communities are filling the void which Christian politicians and politically correct Christians are meant to fill. These men of God cannot remain silent while Christians are being slaughtered like rams. The often touted claim that more Muslims are killed than Christians is nothing but “Taqiyya” because Muslims killed in error by the Jihadists have earned 70 virgins in paradise. From the pattern of attacks over the years, it is clear that the target of Boko Haram and Fulani herdsmen are Christians while Muslims that are victims are referred to as “collateral damage”. The post You are justifying ungodly killings by herdsmen, CAN fires back at JNI appeared first on Vanguard News.